Sometimes it seems like the day is over before it gets started. It can be difficult to get the morning started and stay on track. If you have these issues, you may be searching for the way to keep your homeschool day under control. Here are some secrets to keeping our homeschool day successful and productive. Plan ahead – One of the biggest things that works for us is to plan ahead. Knowing what I expect to accomplish each day helps me. I like to know what I need to get done and what I want to get done. As long as the need list is complete, I am happy; and if the want list is completed, I am ecstatic! When the kids know what they need to get done each day, they feel better and like the sense of accomplishment of making progress through their lists. Be flexible – Being flexible is also important. If the day does not start the way it should, we just adjust the schedule back. If we find that we have afternoon activities, we get started earlier to ensure we are wrapping up by the time we need to leave. When unscheduled interruptions happen, we just adapt and move on. I keep the kids informed on what we are doing and why we are trying to get things done early. This makes them feel a part of the daily decisions and keeps them understanding our daily goals. Plan activities for the Little Ones – If you have little ones at home, planning activities for them is important to keep the disruptions to a minimum. Obviously, when you have infants and toddlers about, interruptions will happen (see be flexible) but having some planned activities is a good way to keep them involved. We scheduled time for reading, working on toddler activities, and playing quietly with special toys. Having a time to play with Play-do, a special toy, blocks, or flashcards is important and makes them feel a part of the school day as well. You may also want to consider some time for “school” where your older children “teach” the little ones. My daughter LOVES teaching our 2 year old. She is learning and so is he and they both enjoy the time. Schedule one-on-one time – It is important that every child gets some undivided attention from mom. If you have several children, this can be more of a scheduling necessity but is very important. Quality time does not have to be a large block of time. Fifteen minutes of quality time snuggling with a book, playing cars with your son, or just talking can go a long way and can REALLY have an effect on the overall attitude of all the children. Plan to have one-on-one time with the toddlers and work your way up. Toddlers who get one-on-one time with mom are much more manageable throughout the day. Keep it short – We keep the lessons short. This is the biggest key to our daily success. We have found this approach to be very effective and retention is much higher. We have the clock available and the children know how long to spend on the subject at hand. When the allotted time has passed, we move on. If you need more time on a subject, consider breaking it into two time slots to keep the lessons short. This is helpful, especially in subjects that are challenging or uninteresting to your child. They know they only have 15 minutes and usually can concentrate for that long. We keep everything between 10-20 minutes. Obviously, as children get older, you may need to increase time slots for certain subjects but, overall, this can be a successful schedule. Keep your cool – Keeping your cool, regardless of what happens to your day, is vital. I have found that the less I let our interruptions and unscheduled issues upset me, the more smoothly our days seem to go and more we accomplish. Just go with the flow and adapt when necessary and you will find that your day is smoother and your stress level is much lower thus making everyone much happier. Homeschooling can be challenging at time but the challenges are worth the rewards exponentially. Doing your best to keep your days smooth and productive is beneficial to everyone. Finding what works and being flexible can go a long way to making your homeschool days successful! That’s the biggest struggle for me, staying flexible and not letting the change of plans bother me. I’m doing better. 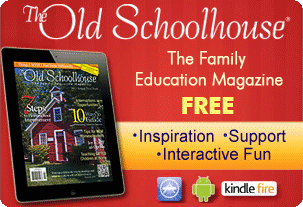 I know we all, as homeschoolers, have our days of success and our days of “did we do anything? 😉 LOL But I love being a homeschool mom and just try to keep it fun and productive as much as possible. Thanks for sharing. , but it isn’t true in his world, because neparts know best. I’m not going to say that home schooling has to turn out that badly, but yes, it does seem to be one of the ways that home schooling can go bad.And beyond that, home schooling is like mountain-climbing. Yes, it can be a fantastic personal adventure, but it’s also an enormous amount of work. It is very easy for neparts to bite off much more than they care to chew with home schooling, and they may also be reluctant to concede defeat if it’s not working. What neparts would want to admit to the local public school that they just didn’t find the time to teach their children how to read? You would expect there to be both good and bad home schooling, and when neparts are bad at home schooling, they won’t be subject to the same public humiliation as failing public schools. Instead they can try to keep a low profile. The home schooling blogs will generally select for the success cases.At the outer extreme, if home schooling goes so badly that the neparts are , then they can no longer keep a low profile. Great tips! I do struggle with staying focused…and it doesn’t help that my 12 year old likes to get us off track. These were good reminders on how to be productive. Thanks. Yes, I think all the kids have their days where they like to derail us. I know I struggle with not letting getting off schedule get me frustrated. Thanks for stopping by. At times, I think the argument allery does boil down to the question of whether children are ultimately the responsibility of the state or of the parent. I think most people feel that they are the responsibility of their parents, but there are enough who believe otherwise to make life interesting for those of us who homeschool.Homeschooling works for us, but it isn’t for everyone. Yes, I’m highly committed. No, he’s not always as committed as I am 🙂 Yes, he is doing well by all traditional measures (and some nontraditional measures–he writes wonderful funny stories about his dog’s “night job” as a paintball sniper.) On the other hand, school isn’t for everyone, either. I respect those who send their children to school and I expect the same level of respect. When my kid does something wrong, I also expect the same response he’d receive if he went to a traditional school. In other words, if my child pulled a Ben Domenech I’d treat it as a character issue rather than a “homeschool vs. traditional school” issue. This is something I always considered- and discarded on the spot. And, honor those that do it (with one major exception- those that include religion and hate in the curriculum- both- and there’s way too many of them). I have helped my friends who do manage to pull this off by suggesting various ideas, occasionally providing an experiment or two for the kids, and loaning texts. But, boy, am I glad that my children had valid school choices. Homeschooling isn’t for every family or every child but I love that our country provides us options for quality education whether provided at home or in a school. 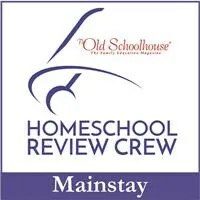 There are many great schools and many great homeschools and I am honored to be a part of that. My time with my kids is a blessing and being able to have such a profound effect on their education is a gift. It is good that you are supportive of those that you know that homeschool as many friends and families are not supportive to those they know that homeschool. Nice that you provided experiments. There are many resources available today for help with science but that is an area that many homeschoolers struggle so it is wonderful when we have options and friends that are helpful. Thanks for commenting. As a college ocopositimn instructor, I have found my home-school graduates to be among the top professionally behaved students in the classroom. 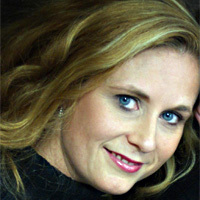 My oldest son, who was homeschooled for 3 years, married a sweet, smart girl who was homeschooled k-12 – and she did great in college. I found that when we homeschooled, our sons had a better social schedule than when we didn’t. However, it is so much easier when you have a homeschool arts program, homeschool ballet programs and so many other opportunities available. Mothers/Parents need to become socialization planners! If people looke really closely into public schools, I think they would find many students have no social life when they go home – at least no parential-supervised social life. Sometimes it sounds like the pot calling the kettle black! Wonderful post! I’ll be provocative and echo I stneiment I read that Ben Domenech’s recent problems might partly be traced to a homeschooling background that didn’t teach him _process_ how things get done in the real world. Does that also hold true for all those that plagiarize and attend public schools? Plagiarism is a big problem in universities after all, and the majority of those students come from public schools. Did public education fail to teach Sen. Biden, for instance, how things get done in the real world? Very sloppy argument. Also, homeschooling does not create “bubble children”. The group mind-think that one must be immersed with ONLY children of one’s own age for 8 hours a day, 9-10 months out of the year, for 15 years or so, in order to deal with those that “are different” or be able to deal with “a world that doesn’t conform to their expectations” is quite frankly, laughable. Kudos to you Tawnee for your dedication and commitment to your kiddos. I appreciate the insight and perspective you’ve gathered in this post – great stuff! Thanks. I appreciate it. Thanks for stopping by. Yeah, I’ve seen a few wierd homeschool kids too and I have seen many rellay nice, age appropriate, well behaved homeschool kids also. My biggest problem in my church where I am a K Sunday School teacher is with a 5 year old that wears flouncy dresses way too old for her, makeup and constantly talks about the various baubles her current ‘boyfriend’ gave her. She ‘loves’ him and they have been ‘going together’ for 3 months. This child goes to public school. So what is the issue? Parenting. Some parents with faulty parenting skills homeschool-the apples don’t fall far from the tree. Some wierd kids from wierd families with few limits go to public school. Most kids have their personalities and behavior habits well formed before school age anyway and if discipline or exposure to appropriate conduct hasn’t occured by then, it probably won’t get a lot better. But I don’t think I would blame homeschooling for bad behaved kids anymore than I would credit public school with forming children with exemplary character. I think the concern is about rtiaceng bubble children who don’t know how to deal with people who are different from them or a world that doesn’t conform to their expectations.That is a concern raised by those who, like myself, are ambivalent about homeschooling but have noticed an alarming tendency among homeschooled children we know to be unduly credulous and whimsical; and otherwise socially graceless. My memories of oddball students from my public school days (K-12) are indelible — but the number of those students could be counted on one hand. Three homeschooled children whose parents are members of my church are particularly impulsive and ingratiating and, worse, inappropriately affectionate — they seem to think that everyone, like Mommy and Daddy, will unconditionally accept their behavior. I can’t help but wonder what sort of rude awakening awaits the eldest child, a remarkably bright boy who should have learned to temper his eccentricities and make the best use of his uniqueness by now.